It is no longer news that most serving governors are declaring interest in the senate. The latest governor to declare his interest is the Governor Abiola Ajimobi of Oyo State. 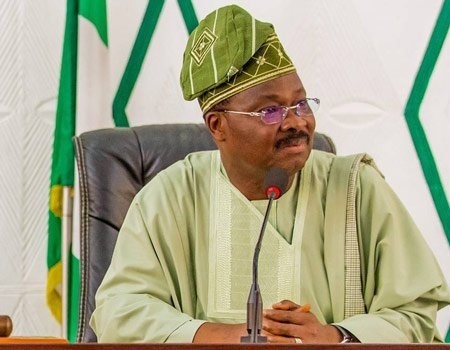 Ajimobi on Friday in Ibadan, announced his intention to contest the Oyo South Senatorial seat on the platform of All Progressives Congress. The governor made the announcement at the maiden General Abdulsalami Abubakar Foundation Peace Lecture held at the Trenchard Hall of the University of Ibadan. “You know, I am running for the Senate. So, I went to Abuja for the screening exercise of our party and just returned yesterday,’’ Ajimobi said. The Oyo South Senatorial District comprises nine local governments namely: Ibadan South-West, Ibadan North, Ibadan North-West and Ibadan South-East. Ajimobi, a two-term governor of the state had from 2003 to 2007 represented the same senatorial district in the National Assembly on the platform of Alliance for Democracy. The governor is expected to contest the ticket with Dr Fola Akinosun, while the other contender and incumbent, Sen. Adesoji Akanbi, was reported to have dumped the APC for African Democratic Congress.